I’ve wanted my blog to become way more personal (hopefully you already know that) so, what better way to continue on my personal blogging journey than to explain what exactly went down yesterday when I went house hunting. Spoiler alert: It wasn’t great. Why Am I House Hunting? Basically, because you are so out of the loop, I have moved out twice already. I know, i know the shame. I am only 20 years old but I feel like this generation is shunned for still living at home at 12 and not having an sustainable income to support themselves in a flat in central London by the age of 16. I know a lot of people will disagree with me but, it is a lot harder to actually find properties for young people now. The rent is crazy, nobody gets paid enough and there are so many people looking for houses, you’re lucky to find one available that is actually available. Which leads me back on to the original question, why am I house hunting? Again, i’m going to avoid your question and tell you about my experiences with moving out just so you can really get a feel of what happened yesterday and why I was house hunting. That obviously, took a year and then I moved home for the summer and then I decided it was a no to university and that I wanted to travel. I told my boyfriend this is what we were doing and we got a flat in the UK. I worked in Debenhams and he worked online. 6 months went by, we decided to move on and go travelling. Did that, came home and that’s where we have been for the past (almost) year. I don’t feel like I’ve wasted my time because I have travelled loads since I’ve been home and I have created this blog which I love and never would of done had I continued on my previous career path. Anyway! the plan now is to move out (again), work alongside my boyfriend and go travelling every few months. Seems like a good plan right? well…it is. The problem is actually finding a place to live…. After about two months (yes two!) of searching for flats to rent about an hour or so from where I live we finally found one and decided to check it out. I was nervous from the get go, had my mum not been coming with me, I would of never of gone. Yes, my mum did come with me because my boyfriend was working, not because she’s a little bit psycho. We actually found it easily, following some instructions my mum had scribbled down. I must say here that we are both completely and utterly useless at readings maps and directions, so how it went so well we will never know. We drove up to the security gates (fancy!) and this gigantic, horrid woman strolled from her security office to greet us. One thing you must know about me is that I hate rude people with a passion, I have no time for them but, I also hate confrontation. Luckily, my mum spoke to her and quickly lost her own temper. The details don’t matter! Anyway! so we finally got in to the complex, much to the sassy security guards dislike and met our kind estate agent. She showed us around the houses, but I just wasn’t blown away. They were nice, they were what we wanted but it was 30 minutes to the beach, you had to get on the motorway to get anywhere and the sassy security guard had just put me off completely. We are still thinking about it because it is in a good place and it is cheap but, I can’t help but listen to my gut that’s telling me no…but, we shall see what happens! I left with a lot to think about, too much to even write about here so, once it’s all sorted itself out inside my brain, I will elaborate! But anyway, I knew I was hitting some shops before we went home and ‘paranoid, anxiety filled’ me had written down the exact ( I must first tell you they were ‘exact’ I had literally got the co-ordinates to the foot of the shopping center) GPS co-ordinates to get us there. I hate getting lost so, I was prepared. We headed off back down the motorway with only a 30 minute journey ahead of us. 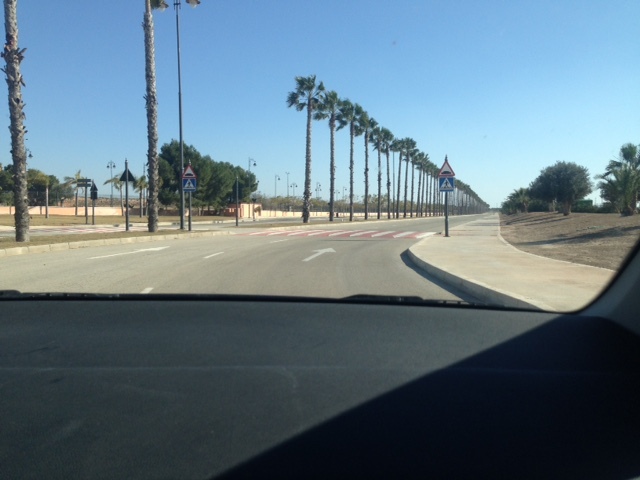 My mum kept refusing the sat nav, insisting she knew the way…After we had passed the fifth sign directing us in the complete wrong direction I just had to turn my sat nav on before I had a heart attack. I am not even joking when I say I thought we were heading to our imminent deaths. Why Lauren? well, not only did this route direct us off the motorway but we were directed through tiny villages, small mountain roads, huge drops and not another car passed us. I immediately thought I had written down the wrong directions but, to our surprise after about 25 minutes civilization was upon us. 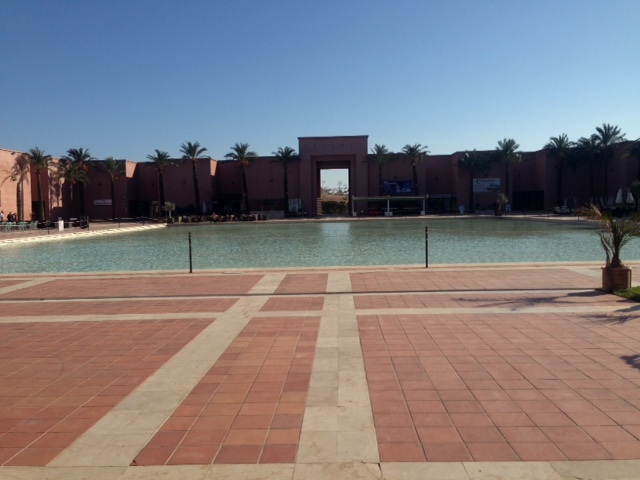 We had arrived at the shopping center with minutes to spare than if we had taken the motorway. We couldn’t believe it and then to top it all off I managed to find a ton of new stuff in the sales. Retail therapy never hurt anyone, especially after such a treacherous mountain journey. That’s where I am now. Undecided about houses but still feeling positive that we will find somewhere soon and it will be perfect. 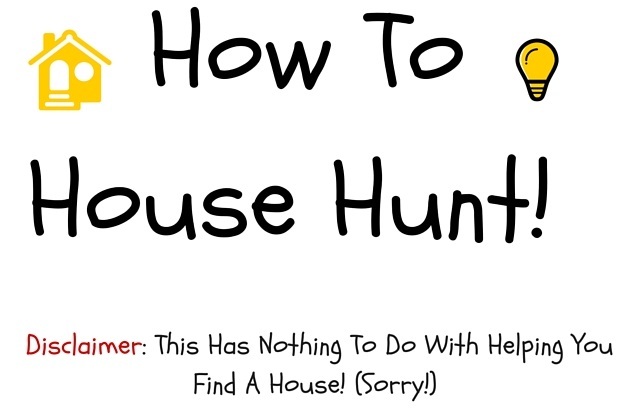 I hope you enjoyed my how to house hunt post. I know it’s pretty personal but that’s what I wanted.